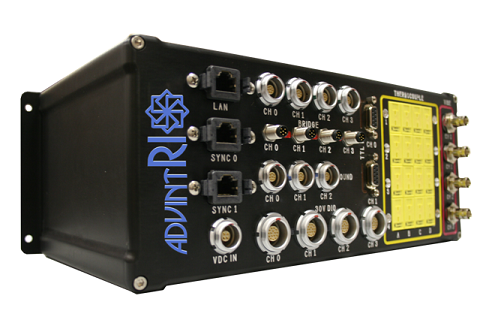 AdvintDAQ™ and AdvintRIO™ systems utilize NI's CompactDAQ (cDAQ), and/or CompactRIO (cRIO) & Single Board RIO (sbRIO) hardware. These platforms offer a modular high speed data acquisition/control with customer specified connectivity. They provide an IP67 rating while maintaining rugged shock and vibration capability in an industrial enclosure. AdvintDAQ and AdvintRIO systems can be USB or Ethernet based, distributable, synchronizable, and delivered ready to connect into existing field wiring for easy deployment. Advint solutions take NI products where they cannot go alone - to rugged, remote, and offshore locations. Our systems can be mounted directly on outdoor structures, on vehicles, and closer to the sensor in oil & gas, energy, and other condition monitoring applications. 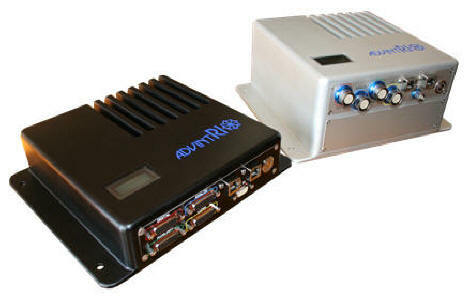 AdvintDAQ and AdvintRIO platforms are ideal for automotive, in-vehicle & off highway, test cells, machine condition monitoring, field service, and advanced industrial monitoring & control applications. The Piranha platform employs a NI single board RIO (sbRIO), NI C Series I/O modules, and custom circuitry. Piranha systems are not dependent on a separate host computer. They offer both Ethernet, and Wi-Fi connectivity to a powerful real-time controller and high performance field-programmable gate array (FPGA) and up to two (2) C Series I/O modules. It provides stand-alone embedded execution for deterministic LabVIEW Real-Time applications. These controllers are designed for ruggedness, reliability, and low power consumption. The heart of Piranha system is the reconfigurable I/O (RIO) FPGA core. The RIO core has an individual connection to each I/O module and is programmed using easy to use elemental I/O functions to read or write signal information from each module. Multiple units can also be daisy changed together for larger applications. 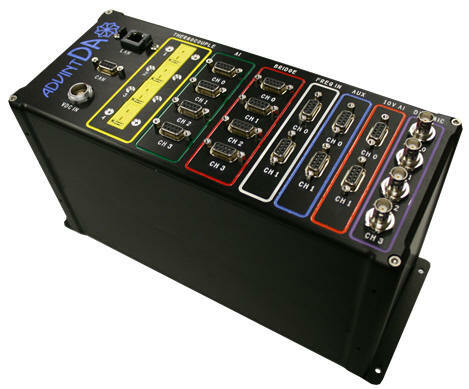 The Mako platform is based upon use of NI CompactDAQ (cDAQ) product line consisting of a chassis, NI C Series I/O modules, and a Windows host computer connected over USB, Ethernet, or Wi-Fi. Mako systems provide an easy, flexible, expandable platform to meet the needs of any electrical or sensor measurement system. They control the timing, synchronization, and data transfer between a host computer and up to eight (8) C Series I/O modules. A single Mako can manage multiple timing engines to run up to seven separate hardware-timed I/O tasks at different sample rates in the same system. Multiple units can also be daisy changed together for larger applications. The Snakehead platform employs a NI CompactRIO (cRIO) system consisting of an embedded controller, chassis, and NI C Series I/O modules. Snakehead systems are not dependent on a separate host computer. They offer both Ethernet, and Wi-Fi connectivity to powerful real-time controller with a user-upgradable backplane that includes a high performance field-programmable gate array (FPGA). Snakehead provides stand-alone embedded execution for deterministic LabVIEW Real-Time applications. These units are designed for ruggedness, reliability, and low power consumption. The heart of Snakehead systems is the reconfigurable I/O (RIO) FPGA core. The RIO core has an individual connection to each I/O module and is programmed using easy to use elemental I/O functions to read or write signal information from each module. Copyright © 1999-2018 Advanced Integration, LLC (Advint).